Watch out for walkers if you are driving along the Military Road between IW Pearl and Grange Chine as landslips have resulted in the coastal path being redirected inland. Due to a number of landslips on the coast near Brighstone Holiday Camp, the coastal path has been redirected inland. 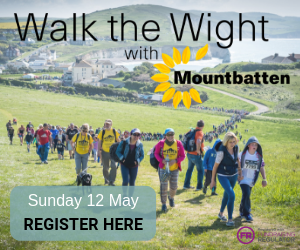 “Due to landslips behind the Brighstone Holiday Centre it is no longer safe to get along at this point. 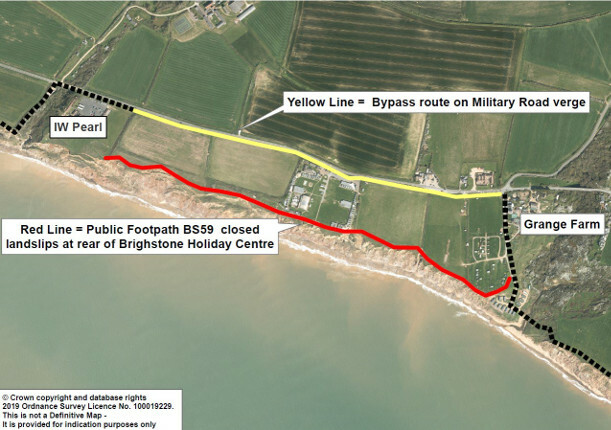 “This means that the Public Footpath BS59 part of the coastal path has been closed. If you are driving along that section of the Military Road, be aware you may come across walkers along the roadside verge. 1 Comment on "Landslips divert Isle of Wight coastal path walkers inland"
Presumably the risk assessment shows its safer to walk along the Military Road than along the clifftop? I’ll bet it isn’t!